Who doesn't love a delicious warm chocolately cake coming out of the oven???? And with school starting back this week, what a wonderful treat to pop into a lunchbox. Treats in our home don't come in packets and they aren't full of fat! This one even warms the heart of those who aren't fond of fat-free baking! In a large mixing bowl combine the flour, coconut, sugar, cocoa powder and sultanas. Make sure the sultanas are coated well with dry mixture so they don't all sink when baked. Pour in the soymilk and vanilla. Stir until well combined. Break the chocolate into little pieces and stir through the mixture. Pour into a lined baking dish (I used 20x30cm) and bake in a preheated 200C for 20 minutes. 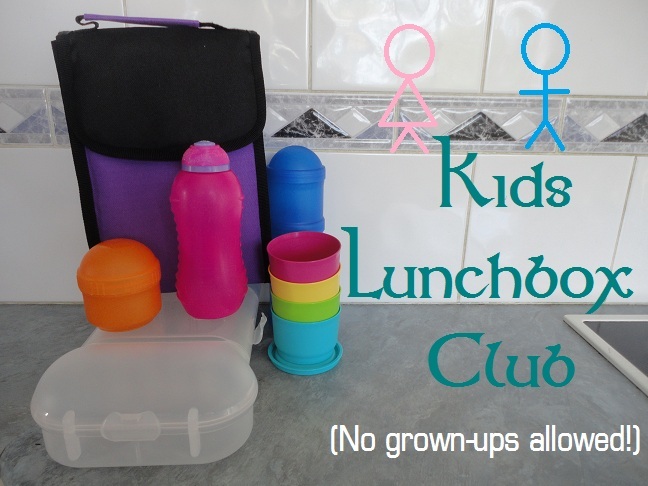 Or allow to cool before putting in a lunchbox! 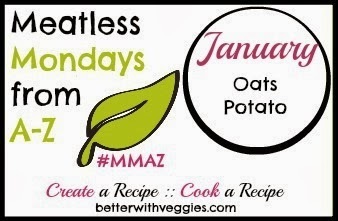 Today's Meatless Monday food is Potato. I was a little undecided about what 'type' of potato I would use, then I decided to use two. 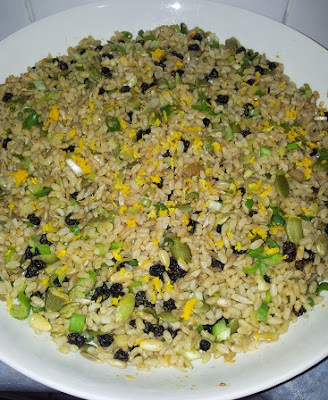 Super easy to make, its a great dish to serve when guests come over. Peel your sweet potatoes. Slice white potatoes and sweet potatoes into 1cm thick pieces. In a large roasting dish pour enough stock on the bottom to cover the base with a thin layer. Arrange the potatoes in rows of each type. Sprinkle with rosemary and bake covered with foil in a 200C oven for 45 minutes until potatoes are cooked through. DO you prefer regular white potatoes or sweet potatoes? I really enjoy savoury muffins. My husband is not really a fan. I think they make a great accompaniment for tomato based meals like chili's and stews. But, I also quite enjoy eating them just plain. I think these would also work really well in a lunchbox instead of traditional sweet muffins. Mix all the ingredients together in a bowl. Do not over mix. Scoop into a lined muffin tin. Sprinkle tops of muffins with sesame seeds. Bake at 180C for 25 minutes or until cooked through. We all have those days when we walk in the door after work and need dinner on the table in less than half an hour. In fact, sometimes that happens more often than not in our busy lives. Bring a large pot of water to the boil and cook the pasta for the recommended time. 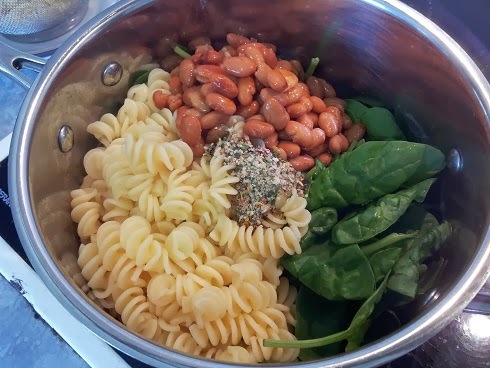 Drain the pasta and return to the pot along with the mexican beans, spinach and spice. Stir over low heat until warmed through and spinach has wilted. 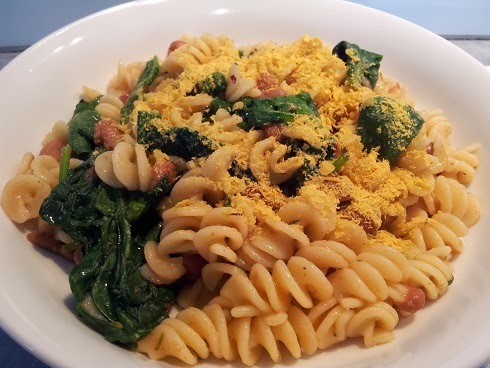 Serve sprinkled with nutritional yeast. You can adjust the quantity of ingredients as needed. 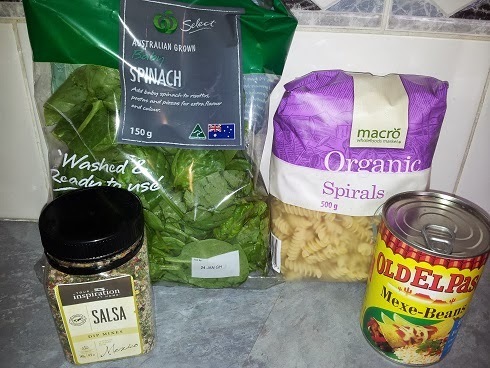 To serve 3, I used 250g pasta, 160g spinach, 1 can mexican beans and 1 teaspoon salsa spice mix. I have discovered a new range of spice mixes! They are from an Australian Company called "Your Inspiration at Home". They make amazing products that add a wonderful taste to food and are super easy to use. 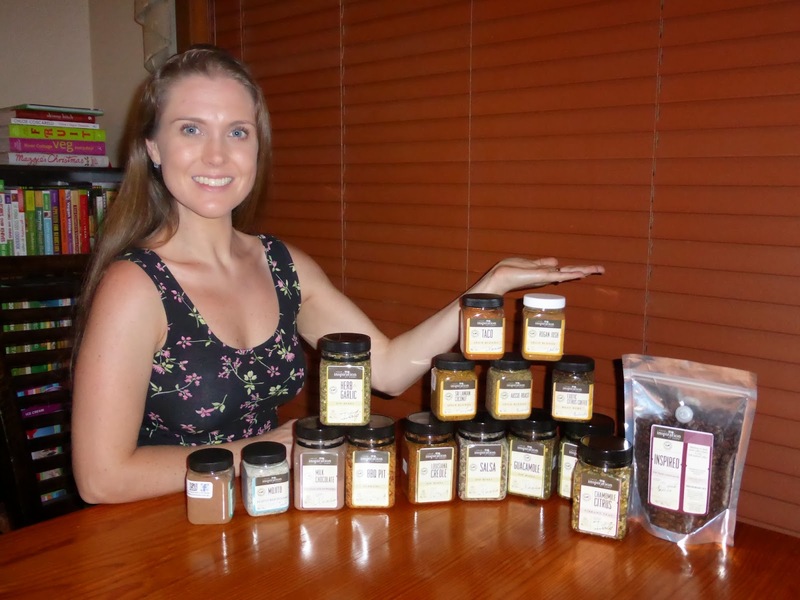 They offer a HUGE range of spice blends, dip mixes, chocolate powders, baking spices, flavoured sugars and salts, along with tea and coffee. All the products have no added preservatives, MSG, gluten, or anti-caking agents. That means no numbers or letters! 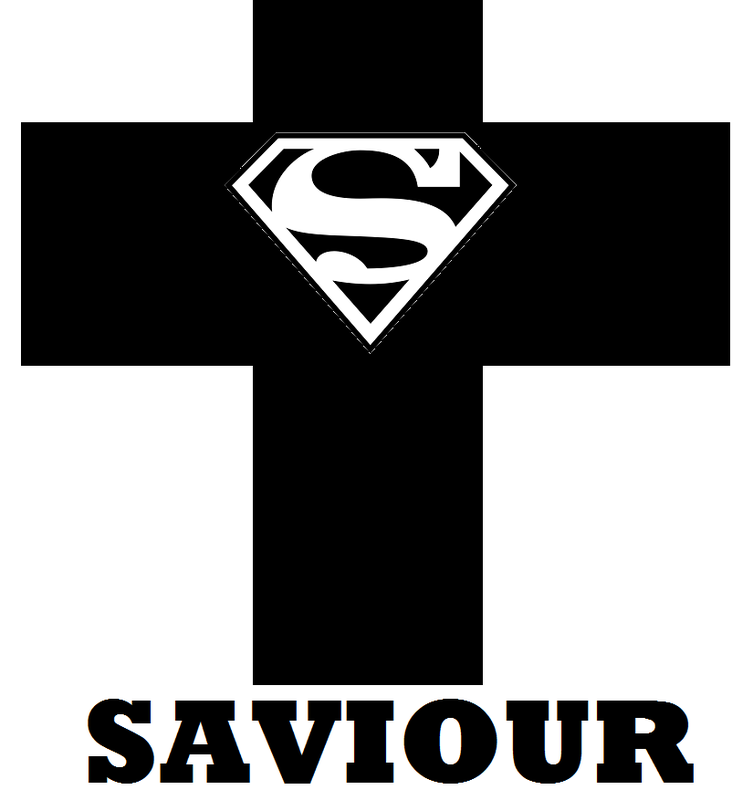 A big tick in my opinion! If you'd like more information about these products and how to purchase them contact me on this facebook page. It's been a while since I posted for WIAW. Life seems to be somewhat back in a regular routine now so with that comes a WIAW post. Wednesdays for me mean a packed lunch to take into work. 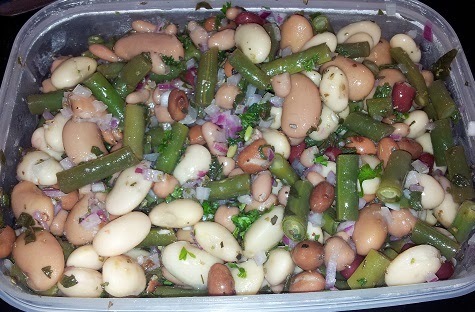 Green salad with bean salad and rice salad. Not more leftover from Christmas - just made again since then!!! I have the wonderful blessing of my husband making our Wedensday evening meal. I had pre-made my breakfast so that my morning routine was somewhat quicker. And in the Summertime I definitely prefer oats to be cold instead of warm. Put all ingredients into a bowl. Cover and keep in the fridge overnight. Have you experimented with soaked oats? Pasta is an Italian meal right??? A quick & easy meal that everyone will love! With the added bonus of minimal washing up!!!! Bring a pot of water to the boil. Add the pasta, spinach & peas. Cook until pasta is al dente. Combine the drained beans, garlic and passata together in a blender and blend until smooth and thick. Drain the pasta and then return to the pot. Pour the sauce over the pasta and stir til well combined. Return to the stove and gentle heat on low until the sauce has warmed through - approx 5-7 mins. Serve topped with ripped basil leaves and black pepper. 1 Corinthians 6:19-20 (NIV) Do you not know that your bodies are temples of the Holy Spirit, who is in you, whom you have received from God? You are not your own; you were bought at a price. Therefore honor God with your bodies. Matthew 6:31-33 So do not worry, saying, ‘What shall we eat?’ or ‘What shall we drink?’ or ‘What shall we wear?’ For the pagans run after all these things, and your heavenly Father knows that you need them. 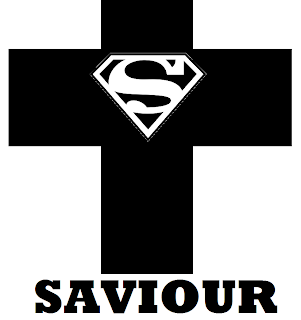 But seek first his kingdom and his righteousness, and all these things will be given to you as well. 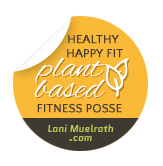 I'm not one who sits here writing lengthy posts about all the benefits of a plant based diet. I leave that up to the experts. It's not more information that society needs. Its how to apply the information that we already have access to! I just provide a few easy recipes for those who are looking for meal options! So I guess for now I'll keep posting..... but without over committing myself to the point where I feel exhausted by it! Ecclesiastes 12:11-12 (NLT) The words of the wise are like cattle prods—painful but helpful. Their collected sayings are like a nail-studded stick with which a shepherd drives the sheep. But, my child, let me give you some further advice: Be careful, for writing books is endless, and much study wears you out. Today we're cooking with oats. Using a food processor, shred the carrots. Add the oats, flax, and spices. Blend til oats are broken down and not chunky pieces remain. Add the peanut butter and water. Blend til a thick paste is formed. The mixture will be very sticky. Add the raisins and blend for a few seconds until they are distributed evenly but not broken into pieces. Use a spatula to spread the mixture onto lined dehydrator sheets. Number of sheets will depend on the size of your dehydrator, I used three sheets. Slice with a pizza cutter! Store in a cookie jar. Will keep for a week. They will get crispier the longer they are stored. I am also submitting this recipe to I am Vegetarian - Hear me Raw. Do you own a dehydrator? Do you use it for more than just fruit and vegetables? I have always loved lasagne! 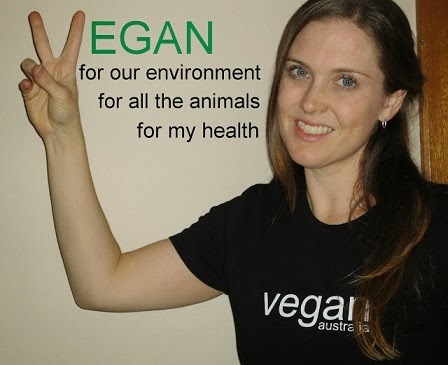 And now that I'm vegan its no different! This was what my daughter requested for her birthday meal - so it must be good! Cover and cook til lentils are soft - approx 25mins. Cover 4 wholemeal lasagne sheets in boiling water to soften. Drain when ready to assemble lasagne. Blend til smooth and thick. Assemble lasagne by placing half the lentil mixture on the bottom of a large baking dish and spreading til evenly distributed. Spread a thin layer of the cheesy sauce over the lentils. Follow with two lasagne sheets. Spread a thin layer of Italian Passata Cooking sauce over the lasagne sheets. Add the remaining lentil mixture, topped by the remaining two lasagne sheets. Cover the lasagne sheets with the remaining cheesey sauce. Bake in a preheated 180C oven for 30 minutes until golden brown. Sorry I didn't post this sooner after Christmas. I have been enjoying spending time with my family whilst we are on a break from work and school! I guess I feel like this post isn't really about a traditional 'Christmas meal' as such, but more about using up leftovers - regardless of what they are left-over from! Its about finding different ways to use what you have, instead of just reheating it and eating it.... again! And also to share a few salad recipes that I love, which are quick & easy to make when large family gatherings require a variety of dishes! As I saw it all sitting there it truly felt wonderful! Such healthy food! I love being able to host eating occasions and Christmas is no exception to the rule! A huge range of salads always makes me smile! 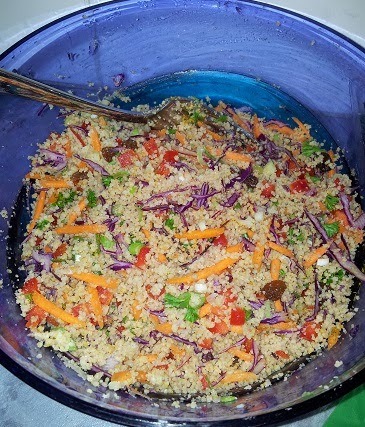 I have mentioned before that I'm a huge fan of this couscous salad from PCRM. It's really delicious and seems to be like equally by omni's and herbies. 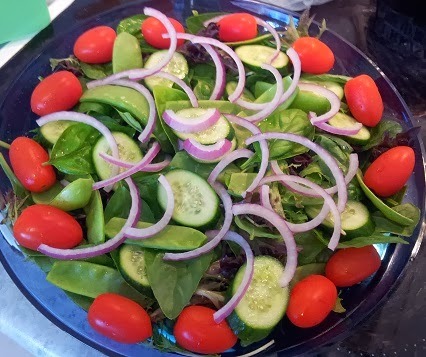 A garden salad never goes astray! I love to add fresh basil leaves from our garden and I love the added colour that a red onion gives. I really enjoy making a rice salad too. I'm a big brown rice fan so I enjoy turning it into a sweet salad. Serve with the zest from the orange. 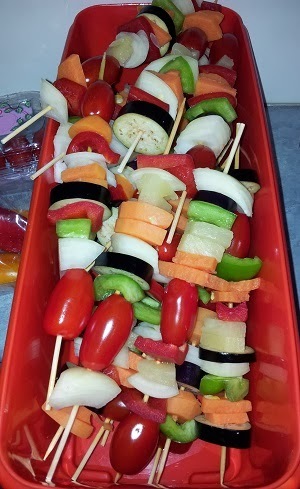 We made veggie kebabs for the BBQ which worked out way better than I was expecting! I enjoyed them even with the tomato!!! The veggies cooked really well and they were very tasty, even without oil or any dressing/marinade. Corn pieces on the BBQ always work out exceptionally well too. There were quite a few kebab sticks leftover. So I just used a fork to remove the vegetable pieces and warmed them in the microwave. Added them to leftover garden salad along with some dressing I had made to be a 'leftovers lunch'. Another PCRM recipe that I regularly make is this three bean salad (I just use whatever canned beans I have on hand, picture shows butter beans and a four bean mix). The leftovers from the bean salad turned into a pasta meal for our family. I just boiled some pasta and added the salad along with 1/2 cup tomato paste. Super simple meal but totally delicious! 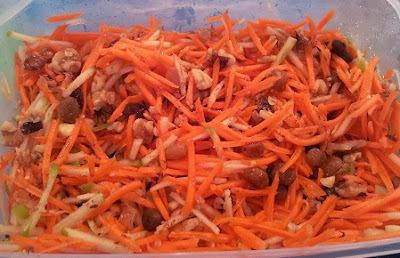 I also made my carrot salad recipe, just with the added addition of a grated apple too. This salad is quite sweet which makes it great for getting children used to enjoying some salads. I made 3 kilograms of spiced wedges! Clearly I over-catered when it provided our family with a whole other meal. Though, I'm grateful for that really! We LOVE potato nachos! Our toppings were the leftover carrot, peas and corn mix with refried beans and salsa! This brings me to the last salad I'm sharing today. Mexican salad. One of my favourites lately. 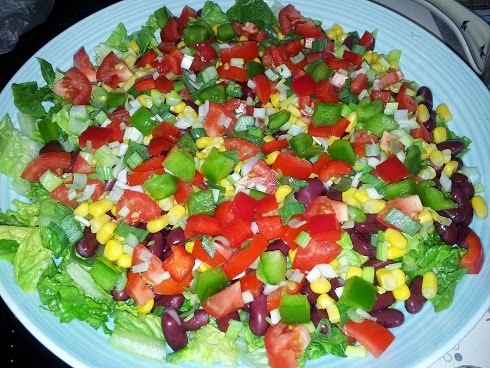 Lettuce, red kidney beans, tomatoes, capsicum, corn, spring onion and avocado. Topped off with home-made tofu sour cream. It makes a great fresh burrito filling! Particularly nice on warm days when a heated filling isn't necessary. I can't finish this post without mentioning dessert of course! Chocolate coconut whipped cream with dark chocolate shavings. Everyone loves this and its so super quick & easy to make. A few cans of coconut cream left in the fridge overnight. Scoop out the top thickened layer being careful not to add the water below. Whip the cream using beaters. I add Your Inspiration at Home chocolate powder but cocoa powder works too. 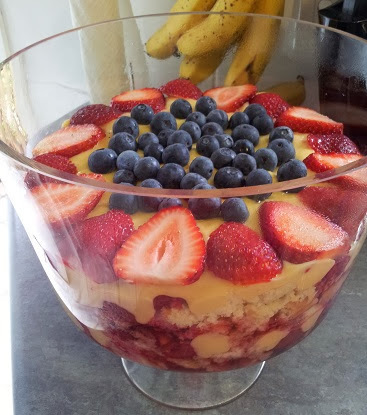 I was so very very pleased with how well my trifle worked out. Everyone agreed it was super yummy! Do you enjoy eating leftovers? Do you re-purpose them or just reheat and serve how it originally was?